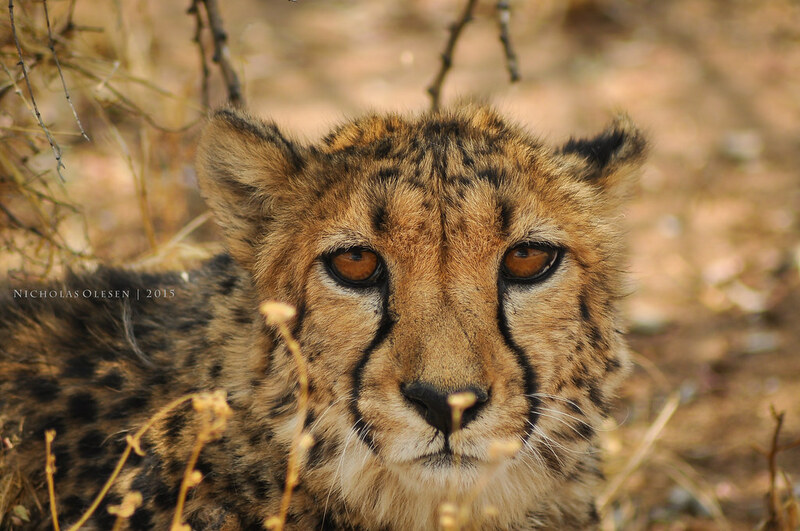 The <a href=”http://cheetah.org/&#8221; rel=”nofollow”>Cheetah Conservation Fund</a>, just outside of Otjiwarongo in northern Namibia, hosts 30-40 cheetahs; some which were orphaned at a young age and have been raised and are therefore relatively tame, while others have been injured and cared for but remain wild. When we visited we were able to see several up close and personal in their enclosures. We also got to see feeding time, which was a very high-speed event! A piece of meat is put out in a bowl for each cheetah, before they are allowed into the enclosure. Cheetahs are very picky about their meat, and will only eat clean meat, hence the bowl. They also have the instinct to eat their food as quickly as possible in order to avoid having another animal steal their food from them, therefore they devour their meat as fast as they can!